In nature, plants of all kinds have their own seasons. The cycle of seasons is the clock plants use to sprout, bloom, produce fruits, and move into dormancy, or the end of their life cycle. All of this is triggered by changes throughout the year in several areas. 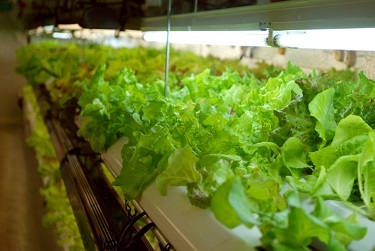 The indoor and hydroponic gardener can simulate many of these changes to produce artificial seasons and fool plants into coming to maturity outside the normal seasons. ~ Length of Day: Much of the cycle of plant life is determined by the length of the day, with vigorous growth occurring during the lengthening days of the spring, and continuing into the long periods of daylight in the summer. Then, as the days shorten and fall days begin, plants shift into flowering and fruiting mode. Finally, wintertime brings dormancy or death to most plants. Its a built-in clock in every plant. Different plants run on different schedules, but its all tied to the length of daylight hours. Indoor and hydroponic gardeners can use timers to supply any amount of light on any schedule that is needed to produce the desired results. This allows the creation of artificial seasons that can help produce plant maturity whenever desired. ~ Temperature: Temperature changes throughout the year also influence the cycle of life for plants. As the soil warms in the springtime, seeds sprout and begin to grow. Increasing warmth encourages lush growth of foliage and stems. As temperatures diminish in the fall, plants shift their energy to produce fruits and seeds. For many deciduous plants and bulbs, cold winter days are also needed to trigger the cycle each year. By controlling temperatures in an indoor growing environment, hydroponic and indoor gardeners can simulate the temperatures of any season indoors. Since grow lights usually produce more heat than is needed, altering the amount of ventilation used to remove excess heat can adjust plant response. ~ Water: Spring and summer rains are crucial for supplying the water plants need for vigorous growth. Typically in most areas, rains diminish toward the end of summer, prompting plants to use their stored energy to produce fruit and seeds in anticipation of the end of the growing season. As with lighting, hydroponic gardeners can use timers and other tools to control the delivery of water and nutrients to their plants. Some plants require being stressed by a shortage of water before shifting into maturity and fruiting. ~ Light Quality: The spectrum of light available to plants changes throughout the year, too. When the sun is high in the sky, more of the blue part of the spectrum helps plants produce lush foliage to maximize photosynthesis and growth. As summer ends and the sun is lower in the sky, the light shifts to the red end of the spectrum, triggering maturity and seed and fruit production. 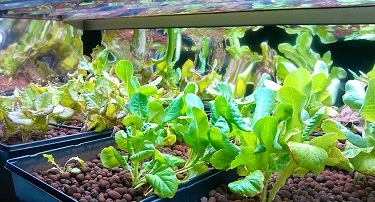 One of the easiest things for the hydroponic and indoor gardener to change is the spectrum of lighting being used. Switching HID lighting from Metal Halide to High Pressure Sodium bulbs can easily simulate the change of light spectrum as the seasons change.